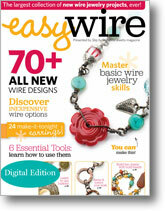 Today I received my copy of Easy Wire, put out by Interweave. This is a HUGE edition, with over 70 tutorials, and I am honored to have five tutorials included. I'm in some good company, let me tell you. But let me tell you something. 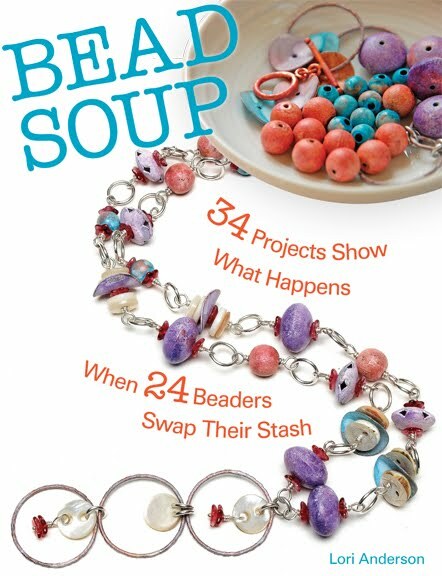 My tutorials would be NOTHING -- really, nothing at all -- without the bead designers and suppliers I use. I've always said that I'm not an innovative jewelry designer, that I just happen to know how to buy pretty beads and get them to play nicely together. There are a ton of jewelry designers out there who create true magic out of raw materials and I'm in awe of them. I always feel sheepish when I see things I've made in print because they're next to these pieces I never could have thought of. So let's hear it for the bead designers and suppliers who made me look good, because without them, I got nothin'. This one, "Hoots and Hoops", has imprinted ceramic rondelles from Spirited Earth. 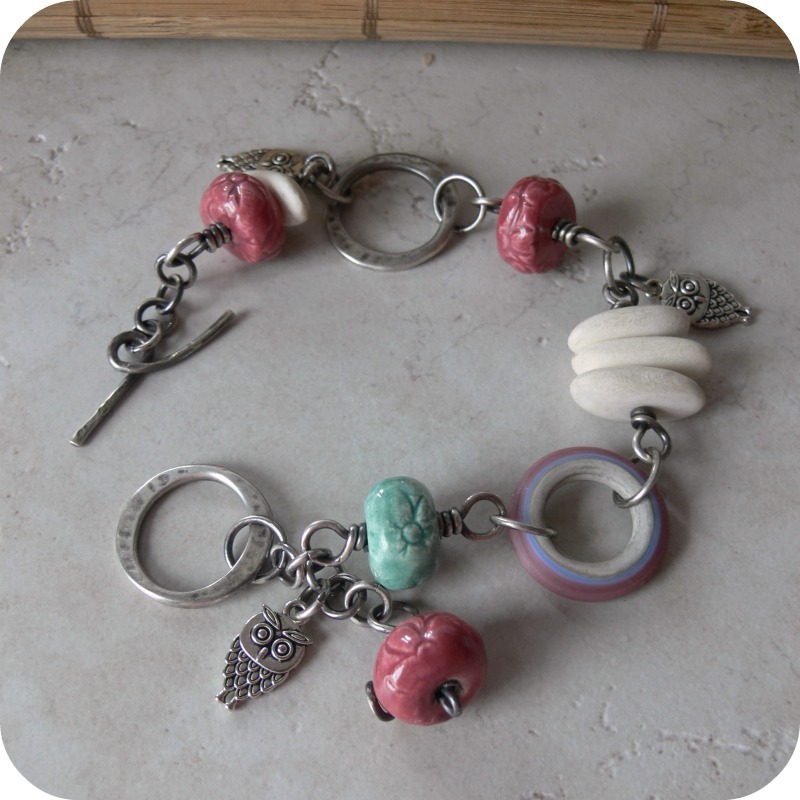 Her ceramic is the first ceramic I ever used in jewelry, did you know that? The lovely lampwork tri-color ring is made by Indian Creek Art Glass, who always has beautiful matte glass rings and beads available. And those owls, while not handmade, need a shout-out, because so many people seem to be afraid to shop internationally. Those come from a wonderful charm supplier from Switzerland, Nicole DeBruin. She has some of the COOLEST pewter charms ever, and her shipping is reasonable and swift. 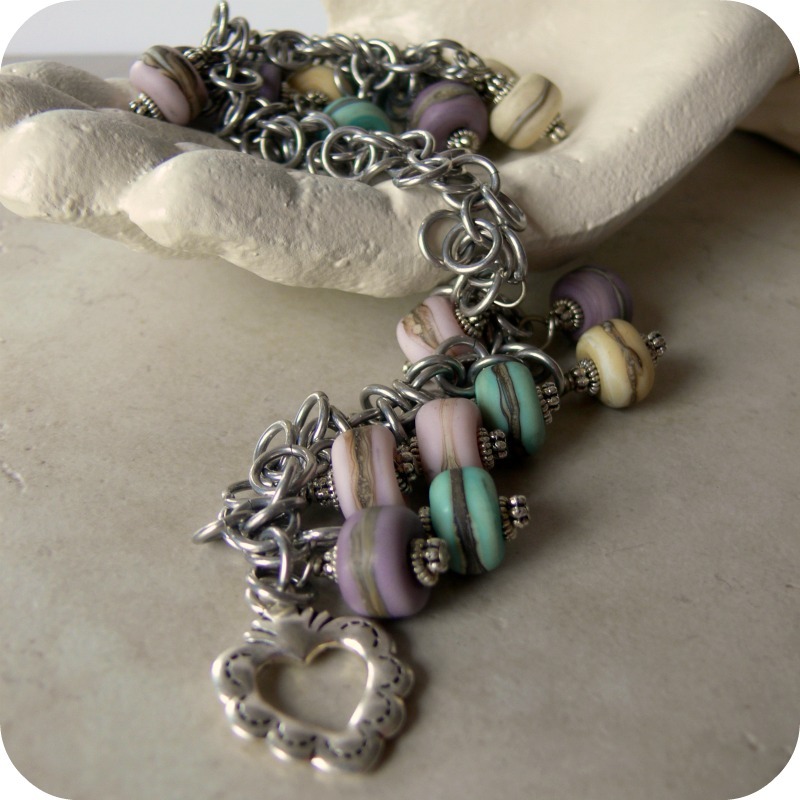 The "Summer Romance" bracelet is made with handmade lampwork beads in a matte finish by Mermaid Glass. 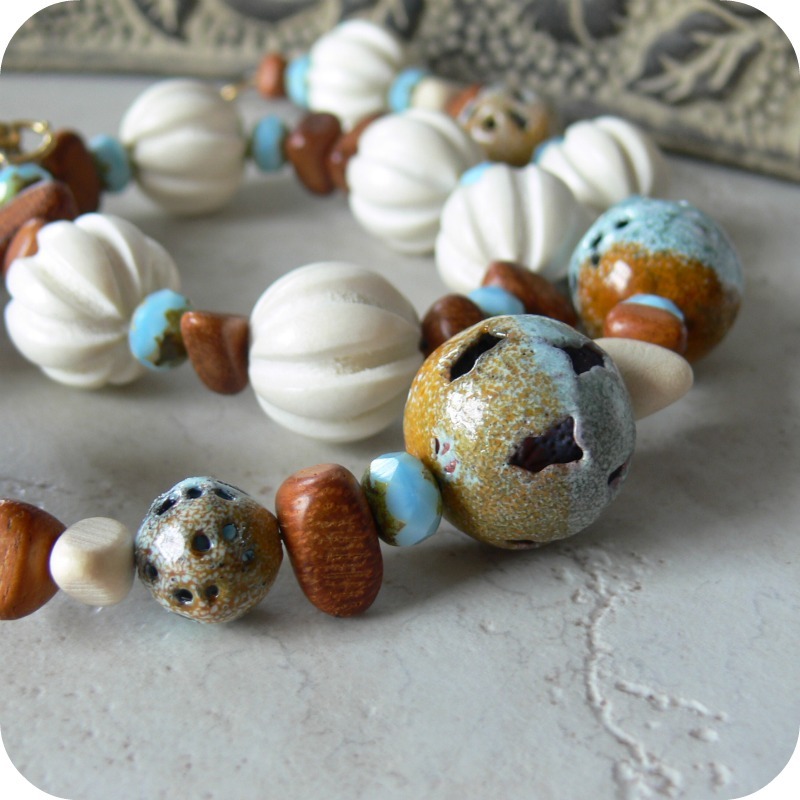 She makes these beads in various colorways, so you're sure to find some you love. "Wrapped" is made with lampwork made by Dragyn's Fyre. Dragyn's Fire makes all kinds of different handmade lampwork beads, and also carries Tierracast pewter components and charms. And last but not least, "Love is Complicated", featuring an amazing polymer clay heart by Barbara Bechtel of Floridity. I was so honored to get one of these hearts well before she posted them in her store, and this was a necklace I worked incredibly hard on. For some reason, the magazine didn't list the source for the fringy gold chain, but that's from Adadornments, a shop I dragged Cindy to first thing at Bead and Button and we didn't leave for QUITE some time. I hope you'll frequent these wonderful artists and suppliers and give them some love. I couldn't make things without these unique finds and artistic people. Nope. No way. Don't forget to click the links at the beginning of the post! which includes a free this! or better yet, become a follower on each page! I love the soft mauve colours and owls and even the hammered rings on the first one. The bracelets are just lovely, Lori, and I have to say that being able to pick the right materials in a harmonious way is a big talent. Many people don't have the eye you do. 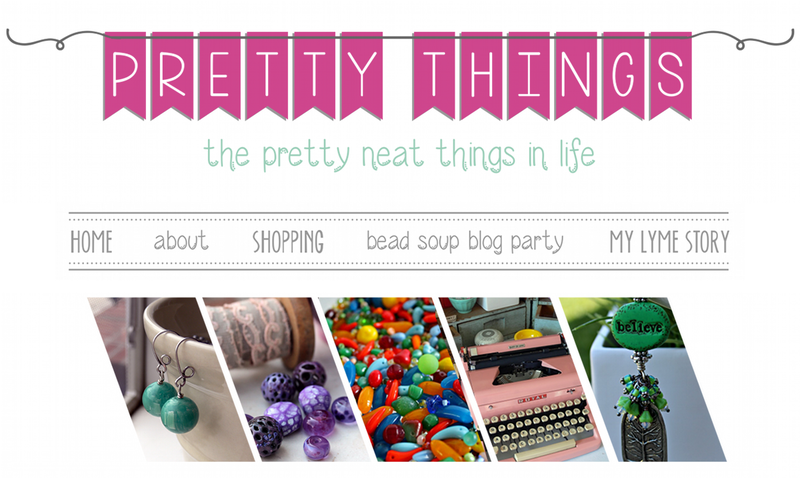 :D Thanks too for sharing these great bead designers and etsy sellers. I just got my copy and it is full of eye candy for sure!I've been hoarding my heart ( it says XOX) from Barbara but I really have to use it! I absoultely LOVE the "Love is Complicated." So cool. You are so talented. I have seen some items that I'm just going to have to order. Thank you Lori for sharing your sorces. I too am one that relies on the designer of beads and findings in order for me to make my pieces. I do not think that far out of the box. You may say you aren't "that" talented but it takes a good eye to put color together. Love these. Lori, I agree, this is a beautiful (huge) issue! I was happy to receive my copy yesterday and I'm still poring over it. Your jewelry is all so gorgeous...hard to pick a favorite (although I was partial to that red heart from the start). They did a fantastic job with the jewelry lay-out in this issue as well. Congratulation on your articles! And don't be hard on yourself--putting things together is just another form of designing, and you're good at it. It's actually the part I have the most problem with. I love asymmetric designs but hardly ever manage one. And I still struggle with color sometimes. 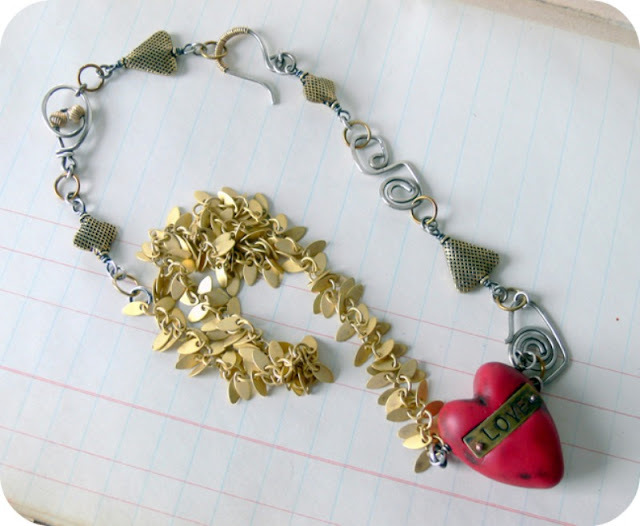 Lori, don't put yourself down your jewellery is amazing always well composed and thought out and you make components work beautifully together that is part of the art of designing and you are so good at it! What a pairing! Gorgeous beads picked out and loved by a gorgeous artist with a terrific eye for placement! Love Love Love! I received my copy on Saturday and have read and re-read this issue many times over - it is awesome! You are so talented - I love your work! It's funny you post this...I was just thinking the same thing about the jewelry I make. Mine are so simple and symmetrical compared to others. I am simply awed and inspired by many of the artists whose designs I see in those mags and on blogs. Lori-Your designs are awesome and you have achieved such great success. Not only that, you inspire others to do the same. Beautiful jewelry with beautiful beads... Yummy! 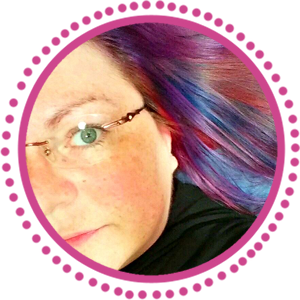 You are really talented with the colors, Lori! Congratulations on being in EasyWire - I absolutely think you deserve it! You really underestimate yourself! Your ability to see all these components individually and separate from each other, and then are able to visualize a beautifully, completed piece of jewelry amazes me every time I visit your blog/website. You have a gift! Thanks for the links to your sources, I will check them out. Have a great weekend! I love the pairing of the lampwork tri-color ring with the hammered rings. Your great design eye comes through in each piece. Please give yourself the credit you deserve. You are very innovative and have grown so much as a beader since I have been on your blog (this spoken by a beader who hasn't been able to do a thing this year!). I ove the combinations you are putting together and your willingness to try more assymmetry. See, I really have been looking, right?? Thanks for the heads-up on those wonderful designers, and artist. and How sweet to bring them along with you to the TOP as I belive you are. 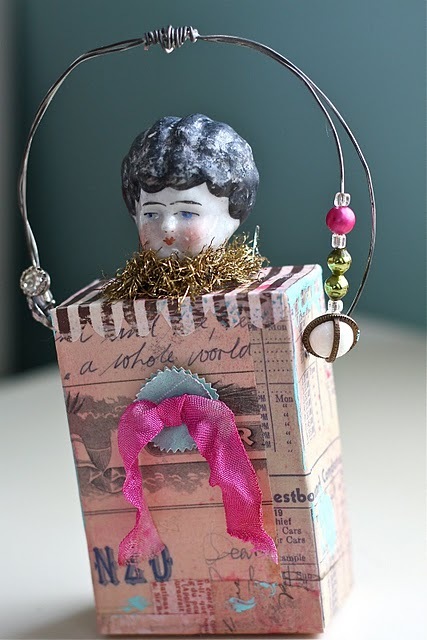 I have learned so much from you as I follow your blog daily.I think your designs are amazing. No beans about it. :>) Be Blessed to be a blesing. Congratulations I need to go out and get a copy. I love your stuff, you have a ton of talent. Seeing what others don't is what makes you great. Each one is so beautiful and unique! I think you both deserve a big pat on the back - you and the bead makers - you're both needed to make these amazing creations come alive for that lucky buyer who is going to love them forever! But.... you really do have an amazing talent for putting beads together and it shouldn't go unnoticed! I make beads and to me they are just beads until strung or linked together. It takes a real jewelry artist to push a bead to its full potential. I believe YOU can take ANY bead, put it with several others and make something wonderful... it's the way you put them together that makes it special... I see it happening on your blog every time I stop by! You are an inspiration to me. P.S. Thanks for the sharing the bead makers. 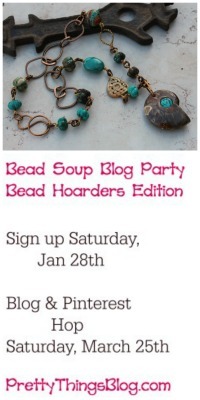 I've already started browsing their shops... there's no such thing as having too many beads!! 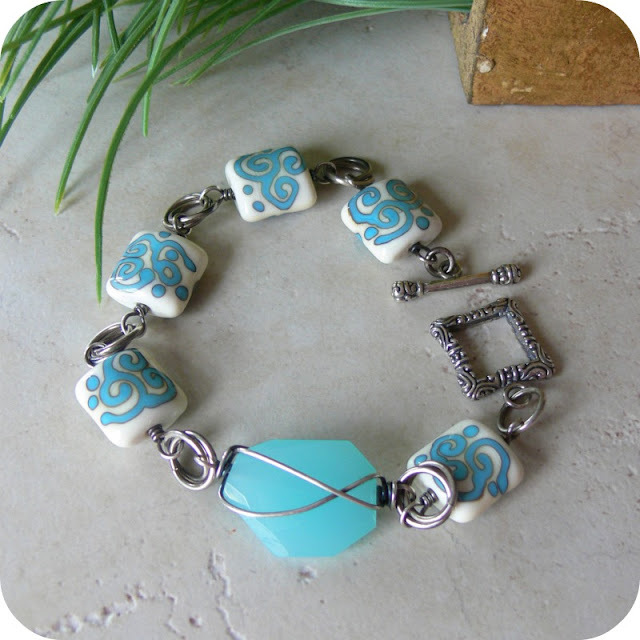 Oh Lori you do have an eye for pretty beads,and the way you used them in these designs is very beautiful. Congratulations on this issue. I think it bead makers and jewelry designers need each other. Beautiful pieces, as always!!!! Congrats on a wonderful collection! Congrats, Lori! That's so exciting to see your name in a big magazine! I really enjoyed your designs in this issue. Several I would make. Gorgeous work, Lori, and congrats on this issue!!! All of your pieces are gorgeous, but I'm just in love with the first one with the rings. Thank you so much for sharing your suppliers. I loved the charm shop and have already been shopping. very pretty! love the soft colors! !